Triathlon is a long game sport. This is probably one of the reasons I love it so much is there is always room for improvement, and you are always growing. No matter how many miles you put in, races you do, or training you conquer you are constantly put to a test of growth. It takes patience, and the willingness to be there for the long haul. I was reminded of this this past weekend when after two weeks of extreme bonking and beginning to feel frustrated I had one of the best workouts/rides of my life. In an age of social media, comparison, and sharing your lives with people it is easy to quickly become distraught, frustrated, and down when things are not going well. 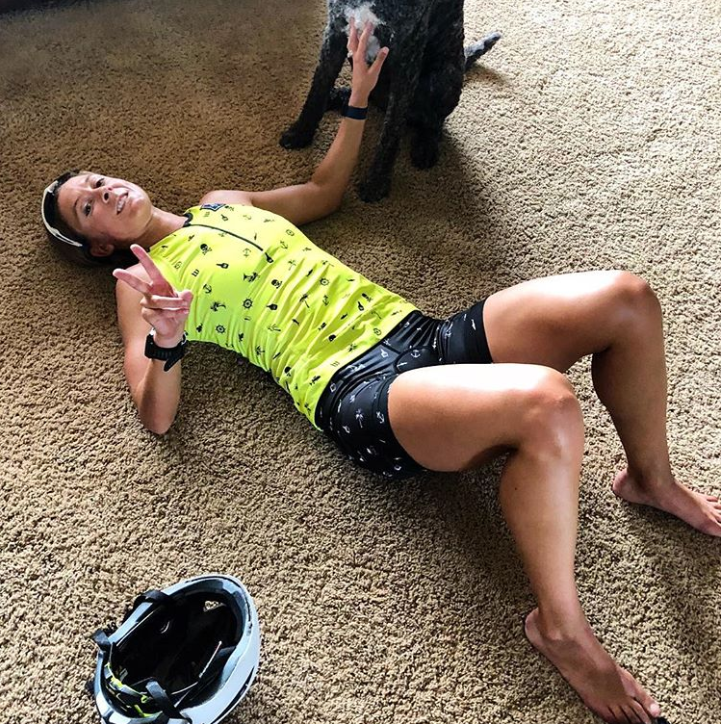 This was a trap I was quickly falling into; comparing myself to others who were seemingly crushing their long workouts led to quickly feeling as though the bonking and failures of my last two long rides meant that there was no way I was going to be able to accomplish my goals at Kona. The extremity in which I hit every proverbial wall imaginable during the last two training rides quickly led to feeling under qualified to even be on the starting line. It is easy to get wrapped up in this overwhelming feeling of inadequacy, and it can be a very slippery slope. Most of us put so much time, effort, sacrifices, and money into the sport (or whatever sport it is that we are striving to improve at) that when it doesn't go well for us it is easy to think dark thoughts about it, especially with triathlon which is so mentally based any ways. So where am I going with this? Well, the point of all of this is to remind you that even when things are not going your way you are still growing, gaining, and improving. That even though when you feel as though you are failing miserably the work is being put in and if you are willing to be patient and not give up then the magic will happen! As I eluded this was something I was reminded of during my training camp with my coach last weekend, where on a ride that I went into thinking was probably going to not go well I pulled out my fastest Ironman bike split. Where did that come from? It came from hours and hours of never giving up, from getting back on the bike even when I felt as though I was failing, and from learning from the past mistakes (bonks). It took patience and a willingness to believe that it will eventually come together. Now, when I say this I don't mean for days on day or even hours on hours. What I mean is, allow yourself to feel bad about what happened for a short amount of time. Maybe 90 seconds, 5 minutes, or even an hour but once that time is over get up and get over it. Set a timer if you have to and once that ding goes off, similar to the round ending in a boxing match just move on. This is important because it allows you to feel bad, it allows you to acknowledge the feelings you are having and even gives your brain a break from fighting them. Allowing yourself to feel this way gives you a break and brings those feelings to the surface preventing them from simmering beneath your skin and bursting out like a volcano in the future. Yes it is clique, but learning from your failures is the best way to improve. If you sit down and think about what caused the failure you can work to prevent in the future. After both of the bonks I had the previous weekends I sat down and wrote out everything I did both of those days in an effort to figure out what I could change, what I could control in order to prevent it from happening again. Get back on the bike, or the horse, whichever saying it is that you prefer. Really, it boils down to not giving up on yourself. Rather than allowing your failures to prevent you from starting again, trying again, or getting back out there embrace it and do it again! This is cumulative to the above tip in which you take what you learned from the failure, get back out there, and implement the changes that you made. Maybe you will fail again! Like I did, two weekends in a row! But then maybe you will succeed, as I did after the third try! You just do not know what will happen, so don't let the unknown scare you. As with everything the basis of starting and finishing comes down with how much you believe in yourself and trust in the process. Yes, there is natural talent, hard work, dedication, etc that is involved but if you did not believe in yourself you may not even get started. Triathlon is no different than studying for a chemistry test in college or prepping for a pitch at work; you have to put in the work. You have to prepare, you have to try over and over and over again, and you have to put the work in. Each day of putting the work in you are adding layers upon layers to the growth and strength within you. Trust in that process, and trust in the journey that you are undertaking. Will implementing these thought processes prevent you from ever failing again? No, wouldn't that be nice?! Rather they will help you to move forward from your failures and turn them into something positive. So next time you hit that wall, bonk hard, fail a workout, or just have a down day remember that you aren't alone. We all have those days, it is just a part of the process and the journey, and it is this journey that makes it all worth it in the end! !